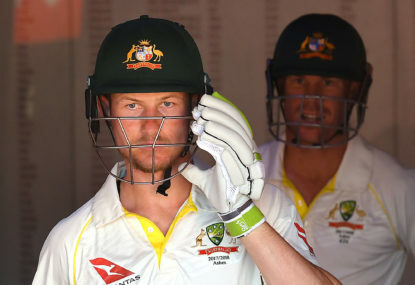 Aaron Finch led the Australians to a compelling win in Sharjah last night with an unbeaten 153 off just 143 deliveries, but it was the performance of another diminutive Australian opener some 3300 kilometres east at Kolkata’s Eden Gardens that will steal the headlines today. 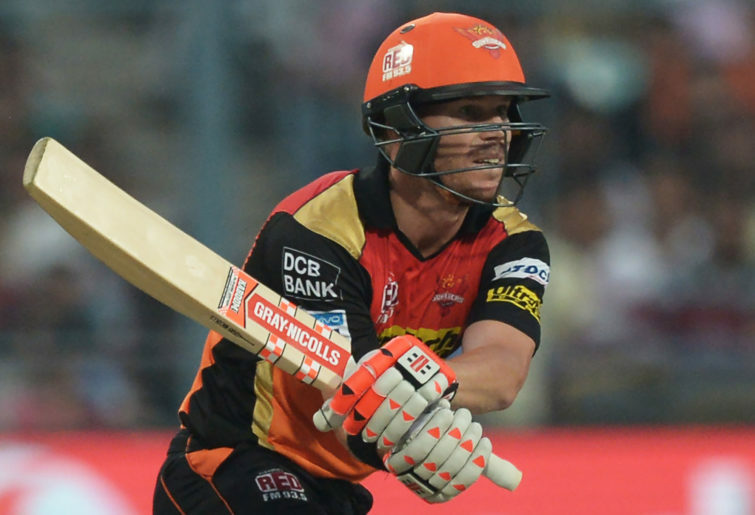 David Warner, the unofficial scapegoat of last March’s infamous Cape Town saga, returned to his beloved Sunrisers Hyderabad side with a superb 85 off just 53 balls in their IPL season opener. The man the Australian public has loved to hate in the last 12 months looked very busy early, determined to stamp his authority on a tournament that he has enjoyed so much success in recently. He used his feet well against the wily leg spinners of Piyush Chawla and survived Dinesh Karthik’s early submission for the ‘worst review of the season’ award, and against last season’s MVP, Sunil Narine, he showed glimpses of the Warner of old with a series of piercing shots that combined brute power with precision hitting. In the field Warner’s compatriot Chris Lynn was on the player mic early in the innings and provided one of the more probing remarks of the day. Talking of his own Kolkata team, Lynn spoke of how the Knight Riders had resolved to play as a team, citing the classic sporting maxim that “a champion team will always beat a team of champions”. David Warner’s status as a champion is nearly irrefutable, as is Steve Smith’s. 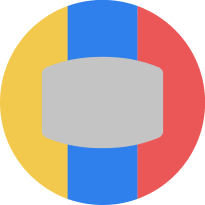 He has scored more ODI hundreds than any other active Australian and has fifth most centuries across all international formats among active players. In the IPL he has won the orange cap for the leading run scorer in two of his last three seasons and in 2016 captained the Sunrisers to the title. When he’s in form he walks into any side. But in the face of an Australian ODI side that has won five on the trot for the first time since 2016 it will be tough to find someone to make way for him. Looking at the current side, it’s not easy to see an obvious candidate to make way for him. 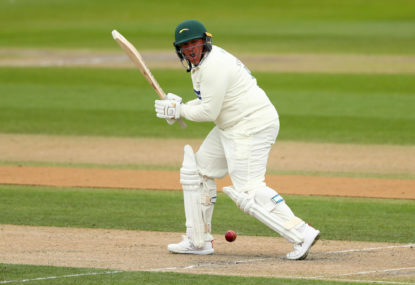 At the top of the order captain Aaron Finch has returned to form at the perfect time with consecutive big hundreds, all but cementing his position after months of scrutiny. In Usman Khawaja Finch has found an excellent opening partner, with the elegant left-hander averaging 71 in the seven games since he returned to the top of the order. With these two playing so well one wonders how, if at all, Warner can hope to find his way back into the side. He seems an opener through and through, having opened in all but one of his 104 ODI innings to date. Maybe the answers could lie further down the order. Warner has batted at four for the Sunrisers before with reasonable success (13 innings at an average of 49), and at the 2016 T20 World Cup he found himself batting at No. 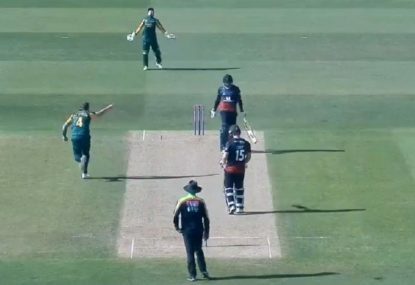 3, so irresistible was the form of Finch and Khawaja at the top of the order. Though he is still an almighty striker of the ball, Warner might not be the crash-and-bash player that he once was. Even before his elbow surgery earlier in the year he had looked in the last 18 months to be playing with less brawn and more brain. He used the crease well last night and his running between the wickets left the Kolkata fielding unit exhausted and captain Dinesh Karthik exasperated. It is becoming increasingly fashionable for pundits to talk about the ‘balance’ of a side, and it seems a dangerous task to meddle too much with a winning team. Assuming Australia picks four front-line bowlers at the World Cup, that would leave five other places up for grabs if Finch and Khawaja are considered locks to open. 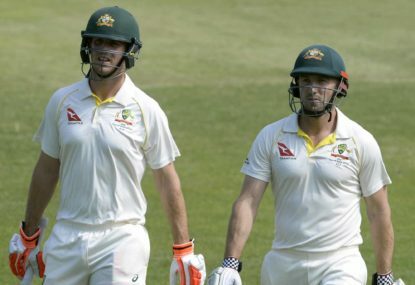 Marcus Stoinis and Glenn Maxwell offer bowling options and an all-round package that is simply irresistible, leaving Shaun Marsh, Pete Handscomb and Alex Carey. Marsh is a classy operator and Handscomb has been strong of late. Carey, however, has not performed as the selectors will have wanted him to. Handscomb might well be handed the gloves instead, and if he is, that would open up a space in the middle order for Warner to fill. David Warner might yet be Australian cricket’s prodigal son – ostracised from the national set-up and roundly disowned, he was painted as a man whose hubris was exceeded only by his arrogance. And yet he is a champion cricketer, a worthy addition to any side and a man for whom forgiveness might not be far away. 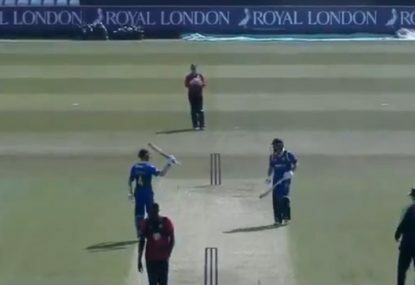 Australia have not picked a back-up wicketkeeper for the World Cup and now in-form keeper-batsman Cameron Bancroft is putting his hand up with consecutive unbeaten tons in county cricket.